The beautiful birds stamps were designed by Belgium's own renowned nature artist, Andre Buzin. 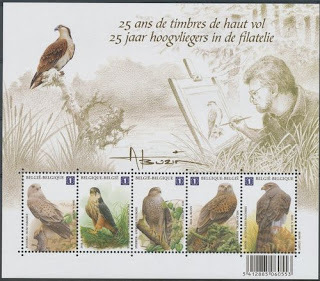 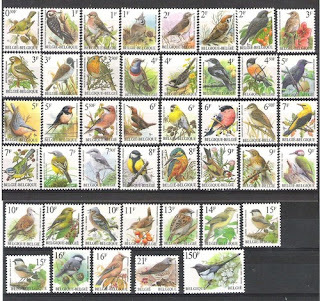 In 1985, he started the first stamps of the birds series. And on April 12, 2010 Belgian Post released a special stamp entitled "25 years of High-fliers in Philately" in honor of Andre Buzin! 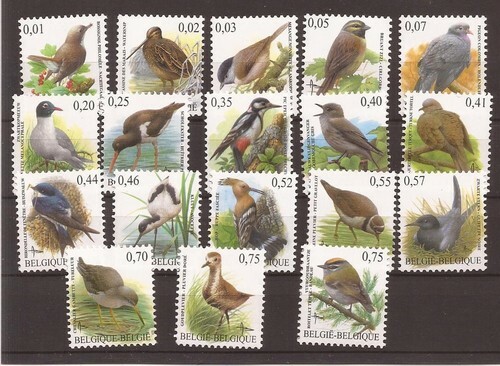 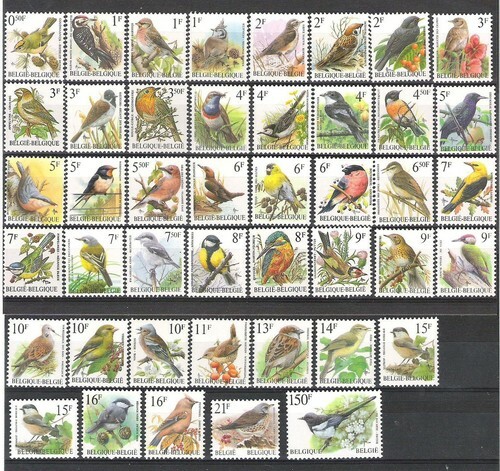 Here are some of the amazing birds stamps that he designed for Belgian Post so far. 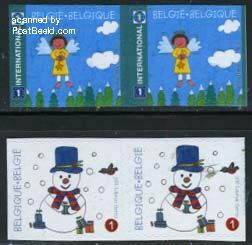 The snowman stamp affixed on the top right corner belongs to a set of two christmas stamps issued in 2011.